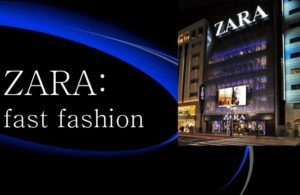 Inditex of Spain is the owner of Zara and other 5 apparel retailing stores and is located in Galicia. Its net income was on the rise hitting 340 million on revenues of 3,250 million by end of 2001 fiscal year. To meet it global expansion and entrench corporate governance, Inditex issued 26% of its shares to the public through an initial public offering which was oversubscribed. The analysis below looks at Zara’s business model, market selection, entry strategies, and standardization of marketing approach as well as future prospective markets for growth. Establishing Zara’s Fast fashion apparel chains in Galicia (Spain) was a noble idea as the case study pointed that by late 1990s, only US exceeded Western Europe in terms of total retail sales where chains accounted for about 85% and 70% of the total sales respectively. Latin America, East Asia and Eastern Europe accounted for about half while the rest contributed less than 10% mostly coming from the poor markets. Any sensible business would focus on market expansion and consolidation within its current region as Zara did if the market had the right purchasing power and favorable cost for the various means of production (Mahadevan, 2010). Galicia was one of the poorest regions in Spain with about 17% unemployment rate compared to national level of 14%. This meant that labor was available cheaply. In addition, its rich tradition in textile and their non discriminatory behavior provided a good opportunity for Inditex to develop and learn the tricks of developing trendier fashions that would suit high end markets like Italy. However, the poor vertical integration in textile value chain and poor communication networks meant the company had to invest heavily eating into its profits which erodes the gains. This made it sensible for the company to focus on other regions in Europe to maintain its competitiveness. Zara had an organized market entry strategy where it identified markets in Europe that resembled the Spanish market. Choice of product market selection is influenced by product, market and marketing factors (Srinivasan, 2008). This was done by a team of commercial experts who analyzed the micro and macro variables and the future prospects to influence apparel retail chain with profitable gains. In addition, Zara’s designers tracked closely the trends in consumer preferences and made products to match the changes. Normally, when companies identify new markets with similar consumer behavior, tastes, preferences and purchasing power, it becomes easier to penetrate such markets. This assertion is supported by the case study which indicates studies that showed the different countries in Europe and their market behavoiur in relation to apparels. While the all Zara’s stores in Spain were company-owned and managed, the company employed a different entry approach to new markets. The approach involved three entry strategies, that is, company owned stores, joint ventures, and franchises, where only one approach was employed per a given country. Though the three strategies were in use, Zara seemed to favour company-owned stores given that by end of 2001, it operated 231 company owned stores in 18 countries outside Spain. Jain (2003) noted that companies can adopt exporting, joint ventures, franchise or mixed strategies. The strategy makes sense given that such stores targeted the high profile countries and high –end markets meaning more revenue to the company due to higher purchasing power at fewer bargains. However, the amount of resource allocation and management time spent makes the strategy unsustainable. This could explain why the strategy shifted to joint ventures and franchises in most countries it entered towards late 1990s. Making a choice among the three entry strategies based on market conditions and barriers to entry possibly explains why Inditex had a higher penetration rate in new market with remarkable success. Zara also had policy of standardizing its marketing approach thereby using the same business system in all the countries it operated with minimal variations in retailing operations at the local level. Normally, the first store opened in the country become the flag ship store and defined the marketing mix to be replicated in other retail stores across a particular country. Paul and Kapoor (2008) noted that standardizing product marketing has several advantages including building a global brand, economies of large scale production and developing a global marketing mix at minimal costs. In terms of product development Zara produced three product lines apparel targeting women, men and children. Design and new product development followed changes in preferences with failure rate maintained at 1% compared to industry average of 10%. This was done by producing only for markets that showed unambiguous positive response to designs. Price varied depending on quality of apparel and target market where high end markets had higher mark-up prices. Promotions were standardized in that advertisement budget was pegged at 0.3% of its revenue compared to 3-4% for most specialty retailers. Promotions were limited to start and end of sales periods per season. Distribution was perfect with warehouses and third-party delivery services were utilized to ensure availability within short distance. Displays and interior presentations were used to promote its market image. The best way to grow Zara’s chain outside Spain and Europe is to target the middle and high class in developed and developing countries. Brand positioning should also be made to read made in Europe to create to tap high end customers that shop in Europe. Setting production in countries with low labor costs would also lower shipments costs and increase its competitive advantage to compete globally. Italy is known for its taste for high end and trendy fashions. Its proximity to Spain and Portugal means that Zara can produce in the two countries due to their low labor costs and sell at a higher price in Italy given that shipment cost is minimal. Bamford and West (2010) highlighted various factors that motivate companies to expand internationally and compared with options available to expand in the domestic markets. About 30% of apparel production was being exported with developing countries accounting for more than half hence Zara would be better of expanding to either Asia or Africa to grow its market share. For Example, Li & Fung from Hong Kong a developing country made 75% of its revenue from apparel established in over 30 countries. This point supports that establishing a second region for Zara would make sense since most the restrictions that dominated the 1970s and 1980s under Multi-Fiber Arrangements (MFA) had been lifted. Diversification into a second region would also make Zara benefit from lower labor costs in developing countries where labor is cheaper. In addition, it would save on shipment costs as some of the produced apparel would be consumed in the country of manufacture. As noted in the case study, concentrating production and market around Western Europe (17) made apparels expensive by as much as 70% in America and 100% in Japan. Therefore, focusing on a second region would not only lower costs of production but also the retail prices thereby increasing its competitiveness. The study (4) also gives some impetus on why Zara should go a second region to expand its market share by pointing other countries like Japan had a higher apparel buying frequency per than most of the developed world. In addition, other regions also commanded a large market share for apparel with US (29%) and Asia (23%) slightly lower than Europe (34%). Therefore, this means with the right market selection and proper entry strategy there were profitable continents like Asia given their large population. However, maintaining a firm grip of apparel market in Europe is sensible given their higher purchasing power resulting to higher marginal revenue per unit sold despite the fact that share of apparel expenditure decreased with increase in income.